The folks over at CarMax have put together some interesting data regarding the popularity of manual transmission automobiles sold through their pre-owned dealership network. What they found has certainly been sobering, as just 3.7% of their nationwide sales are manually shifted. Interestingly, CarMax’s own data also showed that there were some cities where the manual transmissions were more popular. Little pockets of enthusiasts, perhaps. When we ask OEMs about the take up rate of their manual transmission offerings here in the U.S. market, the answer is usually expected to be quite low, usually under 10% with the exception of certain sports cars. So to see the kind of low sales numbers that CarMax is seeing on the second-hand market is a bit disheartening. That drop in sales from over 25% in 1995 to less than 4% in just 13 years is a huge difference. Interestingly, there are still pockets of the country that are buying a larger percentage of manual transmission cars. In El Paso, for example, over 6% of CarMax sales are still equipped with a shift-your-own and three pedals. You may notice that most of these cities are places that rarely, if ever, see snow. CarMax locations in Reno, Nevada or Salt Lake City, Utah may be selling a higher percentage of sports cars because the weather is more conducive to owning such a car. All of that said, a place like Birmingham, Alabama should fit nicely into that category with nice year-round weather, but that location is the lowest on the CarMax “Stick Shift Index” nationwide. The only thing I can think to explain this away is that Birmingham buyers are truck buyers. Obviously, with fewer cars on the market even offering a manual transmission, and with automatic transmissions getting better with every passing day, it’s not a surprise that there’s been a dip. It is something of a surprise to see how big that dip has been, though. Being that CarMax relies on trade-ins and outright sales from owners, it’s possible that drivers are just more reluctant to sell or trade in a manual-equipped car. 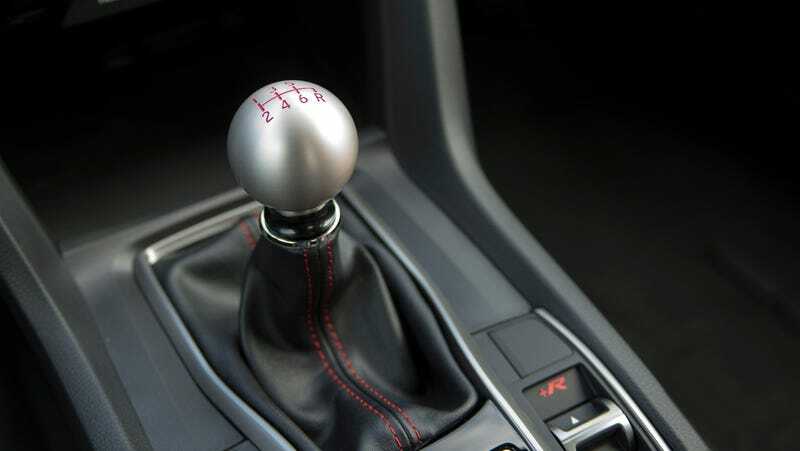 As it becomes harder to find a stick shift on the new car dealer showroom floor, perhaps enthusiasts that want to row the gears are reluctant to sell or trade the one they have. If you went through the trouble of special ordering your BMW 3 Series with a stick a few years ago, are you going to want to trade it in for the upcoming no-manual-available 3 Series? Maybe that’s part of the reason CarMax is seeing fewer manuals sold. Maybe I’m overthinking it, and manuals really are dead.